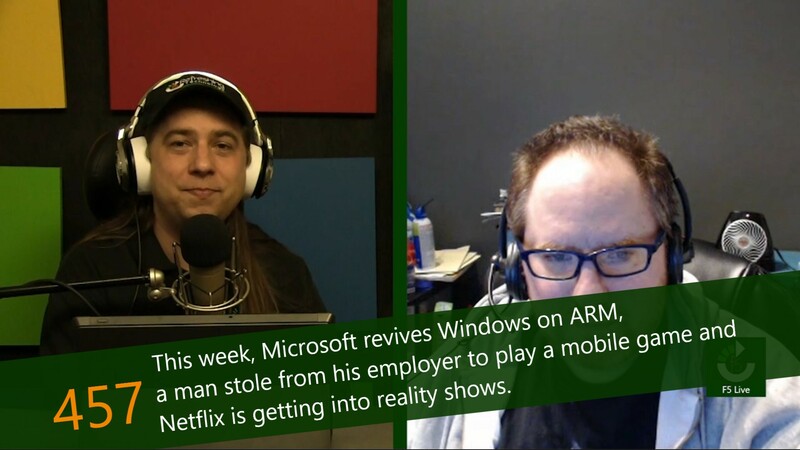 This week, Microsoft revives Windows on ARM, a man stole from his employer to play a mobile game and Netflix is getting into reality shows. When Microsoft introduced Windows 8, it came with another operating system: Windows RT. The poorly named offshoot of the prime Windows product was designed to run on ARM processors with the intention of creating a market for less expensive Windows tablets. Windows RT had one limitation that was outside of the control of Microsoft, and that was adaptation of Windows Store apps. Windows RT could not run traditional desktop apps, but was limited to the new style of distribution. The most expensive television ads of the year happen during the Super Bowl. Usually, only the biggest of the big can afford to run even a short ad during this period, as it would likely drain a smaller company's entire marketing budget for the year. Which is why I was confused when, in 2015, I saw an ad for mobile game Game of War during the game. How could a game like this afford to run an ad during the Super Bowl? Several months ago, Microsoft and LinkedIn entered into an agreement in which LinkedIn would become part of Microsoft, with a price tag of $26 billion. After months of regulatory hurdles around the world, the acquisition has been approved and completed. This means that Microsoft finally has a successfully social network in its list of properties. Since Netflix announced its intentions to offer 50% original content, we have seen some big, but sometimes confusing, moves from their original content divisions. Just a couple of weeks ago, the company gave $40 million to Chris Rock to return to the stage after a long absence, bringing 2 new specials to the platform.